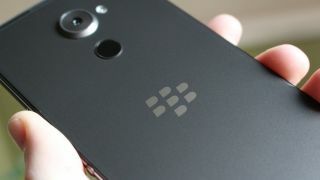 TCL has finally revealed the name of its next BlackBerry-branded flagship Android smartphone after teasing the phone-with-no-name at CES 2017 earlier this year – say hello to the BlackBerry KeyOne. We now know the KeyOne has a full HD, 4.5-inch display and the biggest battery ever put into a BlackBerry phone - a 3,505mAh power pack. It also includes Boost fast charging via the USB Type-C port at the bottom which puts the Keyone in a low power mode to maximize the charging. Under the hood there's a Snapdragon 625 chipset in charge of running everything on screen. We already new the KeyOne featured a full physical QWERTY keyboard below a touchscreen with Android 7.1 Nougat and an aluminium body with a soft-grip back. TCL says the BlackBerry Keyone is the most secure Android smartphone experience available today, a claim a number of companies are trying to make. Security is baked into both the hardware and software, and you also get BlackBerry's DTEK application pre-installed which gives you an overview of your phone's security. The app will even make suggestions on how to improve the privacy on the Keyone. The BlackBerry KeyOne release date is set globally for April 2017 and the KeyOne price is £499 ($549, around AU$810).